Jeju National Park to be four times larger than the existing parkThe expansion of Hallasan National Park could be completed by June 2019 with extra protection for gotjawal, oreum and coastal regions. Jeju’s innovative conservation approach is again evident in a comprehensive rebranding of Hallasan National Park after almost 50 years. 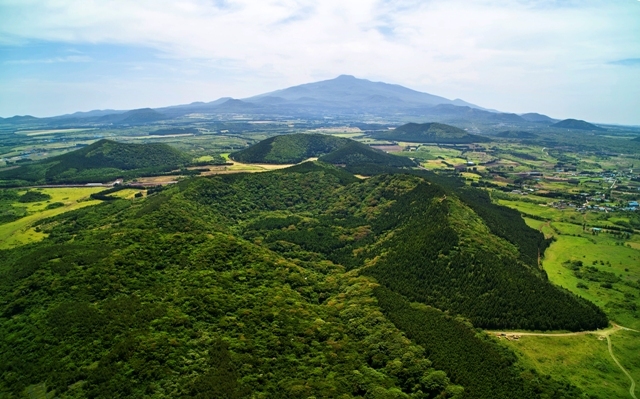 As well as the already-protected Hallasan Mountain, the new Jeju National Park will give national-level protection to selected oreum volcanic cones, gotjawal woodlands, marine territories and islands. Speaking to The Jeju Weekly, Ko Young Chan of the Environmental Policy Department also expects added visibility for the Jeju brand and increased awareness of environmental sustainability among both locals and visitors. “Through the national park brand, the status and awareness of Jeju will be boosted, tourists will be provided with high-quality ecotourism services, and through this process locals will benefit from job creation and income opportunities,” said Ko. The prestige of the park should also increase both domestically and globally as the only combined mountainous and marine and coastal park among Korea’s 22 national parks. Hallasan National Park, established in 1970, currently includes only mountainous terrain. The new park will expand to not only encompass marine and coastal territory such as Chujado, Chagwido, and Udo, but also a number of oreum volcanic cones in the east currently lacking national or international protection. Sections of Jeju’s rare and threatened gotjawal woodland will also get national-level protection for the first time including Seonheul gotjawal (currently a Geopark and Ramsar site) and tracts of gotjawal in the southwest around the Global Education City (some of which is currently designated a Provincial Park). 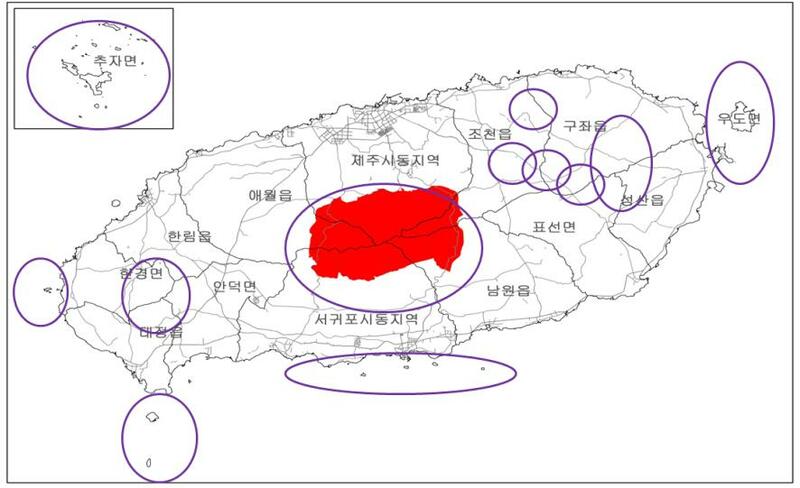 The areas were selected after consultation with experts and Jeju residents between March 2017 and February 2018. Although significant changes are not expected, a final feasibility study is being undertaken by the Korea National Park Service alongside Kun-A Consultants and the Ecological Society of Korea with results expected by June 2019. The proposed boundaries of the park cover 673㎢ including 383㎢ on land and 290㎢ at sea making Jeju National Park four times the size of the current protected area. If land area alone is included, it will be 2.5 times larger. Due to the diversity of land uses within the park boundaries, the park will employ a novel zonal system with various restrictions on land use and development. Natural conservation zone: Prioritized conservation zones for ecosystems and landscapes with tight restrictions on land use beyond park facilities. Natural environment zone: Buffer zones with high-quality and park-related facilities and activities. Community village zone: Residential zones with improved facilities for village life. Cultural heritage zone: Areas with existing temples and cultural heritage for preservation. The plan is not without its detractors, however, and some villagers and private land owners are concerned about falling land prices and restrictions on development. Ko says that there remains low awareness among locals of the opportunities that national park status can bring. “There are some people who think that the national park is about restrictions. Because it is hard to change their minds, the province is moving ahead carefully to avoid violating property rights and causing controversy,” he said. Although conservation is a central aim of Jeju National Park, provincial officials also hope the rebranding brings local economic benefits and higher quality tourism services. Ko expects the park expansion to facilitate improvement in ecotourism facilities as well as provide local jobs and business opportunities. The paradox of Jeju’s natural heritage is that due to its unparalleled international and domestic designations, it is under severe threat from ever-increasing visitors from both home and abroad. Ko says that this is a concern for the province and measures are being considered to limit daily visitors to protect designated areas. “With regards to the pros and cons of entrance fees as well as other institutional matters, we are currently looking into a variety of options, but it looks like Jeju National Park will need some kind of entrance fee structure,” said Ko. As per the provincial slogan, if Jeju is the world’s treasure island then urgent actions are required to ensure that its treasures are passed down to future generations. Provincial officials hope that Jeju National Park performs that role through conservation and wise use of local natural resources.